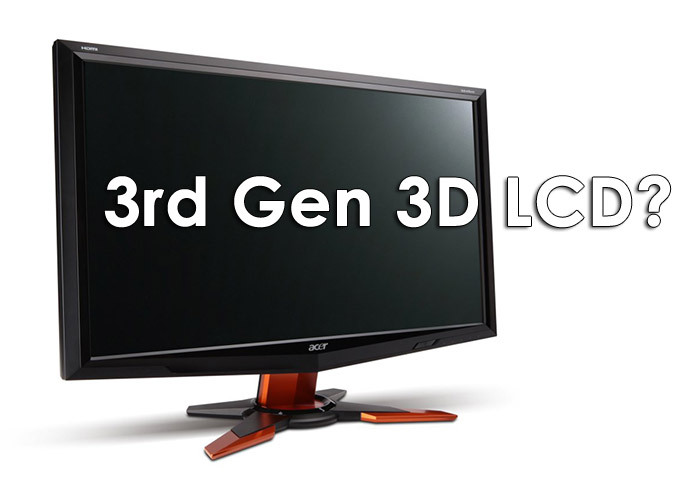 The company was among the first to release a 120Hz 3D-capable LCD monitor with Full HD resolution and it seems that Acer is also on track to be with another first on the 3D LCD monitor market – this time with HDMI 1.4a capable 3D-monitors. Acer is preparing to release two new models – one with passively polarized 3D glasses and another one designed for Nvidia’s 3D Vision active shutter glasses and here we are talking about 23.6″ models. However the company is also working on a 27-inch model with 3D capabilities and it seems that Acer will be there first, beating the already announced 27″ Asus monitor that seems to be getting some delays and will probably be available sometime next year. Acer is expected to officially announce and after that soon to have on the market the three new 3D-capable monitors by the end of this year or early beginning of 2011 with the 27-inch model coming a bit after the new 23.6″ models. So far everything seems good, I mean that a lot of people were asking for 3D-capable 120Hz LCD monitors that will also support the already gaining popularity HDMI 1.4a-based stereo 3D specifications. This in theory means that you will be able to connect not only your 3D PC to these monitors and play stereoscopic 3D content on it, but also your 3D-capable PlayStation 3 console, a Blu-ray 3D standalone player or a set top box that supports 3D TV and so on. And that is actually good, considering the fact that these 3D-capable LCD monitors do come quite more affordable compared to a 3D LCD HDTV or 3D Plasma HDTV, although with not so good panel and/or display size. When considering to use the more affordable 3D display using a special polarizing filter applied on the LCD panel and a pair of passive polarized glasses to get the 3D effect you will pretty much not have any problem (in theory) with the 3D content coming according to the HDMI 1.4a stereo 3D specifications for frame packaging the left and right video frames. There should be no problems due to the fact that you don’t need active shutter glasses here that must be in sync to the content being displayed on the screen, although with the passive solution you will have to sacrifice half of the horizontal lines in terms of resolution which is not the case with the displays using active shutter glasses. But if we consider the 120Hz 3D LCD monitor that is designed to be used with Nvidia’s 3D Vision shutter glasses things may become a bit messy, because you need to have the IR transmitter plugged in a USB port and a driver installed in order have them working in sync with the 3D image being shown on the screen. This works without any problems on a PC, since there are drivers for the infrared transmitter available for the PC, but what happens if you want to use the monitor with your PS3 console or any other device that outputs stereo 3D content through a HDMI 1.4a-compliant interface? It seems that the 3D Vision glasses will not be able to properly sync and thus will become unusable, unless some other solution is found like for example the monitor getting a built-in IR transmitter for the glasses that can also provide the proper signaling to the glasses if it is getting 3D content over the HDMI 1.4a interface. This is still something that we don’t know and we’ll probably have to wait a bit more for Acer to give us some more details about their upcoming products and if they’ve found a solution for that possible issue. I have been testing for some time already the 23-inch LG W2363D 120Hz LCD monitor, of course focusing mostly on its performance in stereo 3D mode. A more detailed review of the display is coming soon, but meanwhile I’m going to share with you some important information regarding the input lag that the LG has or actually doesn’t have. The input lag of a display does not directly influence the quality of the image you get or create issues when playing in stereo 3D mode, but the presence of input lag is not desired by gamers, because it leads to slower reaction time and thus may lead to worse results in more competitive and especially multiplayer games. 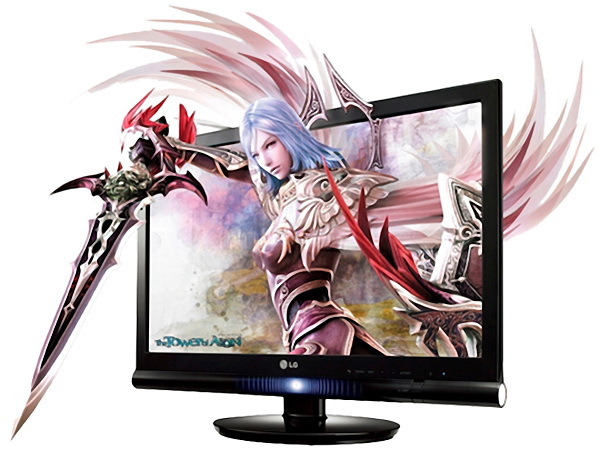 The LG W2363D monitor has a special mode called THRU Mode that has the sole purpose to eliminate any input lag when activated, but before trying if that mode really works and if it does – how well it performs I’ve tried the input lag without it being enabled. The minimum input lag I’ve managed to get with the THRU Mode disabled was 9 milliseconds delay as compared to the Samsung monitor. The good news is that whenever you switch to 3D mode the THRU Mode is automatically being enabled and you are unable to switch it off until you are back to normal mode again, so there is no input lag while playing in stereo 3D mode and that is a good advantage for the LG. And there is another advantage of the LG that you’ve probably already noticed in the photos above and that is the higher brightness of the LG (400 cd/m2) compared to that of the Samsung (300 cd/m2). It seems that Acer is finally going to address one of the issues they had on their first Acer Aspire 3D-capable laptop – the 5738DG by releasing an updated 3D laptop. The new Acer Aspire 5740D 3D laptop comes with a set of updated hardware, including the most important thing – the video card as the first model was somewhat lacking in that area. 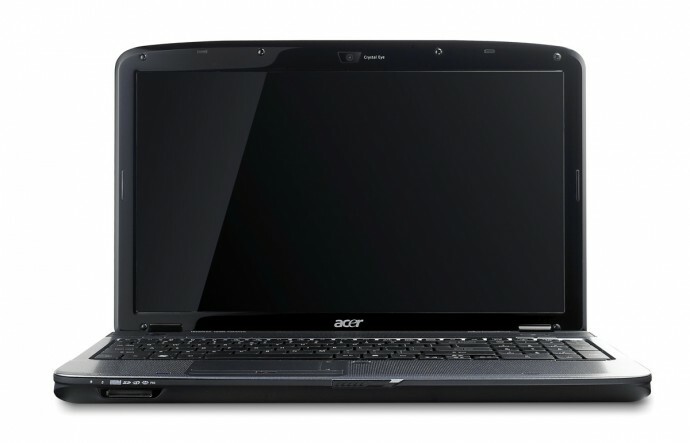 Acer Aspire 5740D 3D will be available in different models equipped with Intel Core i3, i5 and even i7 processors and will use ATI’s Mobility Radeon HD 5650 GPU that is much better suited for stereoscopic 3D gaming than the previously used Mobility Radeon 4570. The screen will remain 15.6″ with a resolution of 1366×768 pixels and LED backlight with overlayed passive polarization filter to enable the usage with passive polarized 3D glasses. The new laptop is also going to use DDD’s TriDef software solution to enable stereoscopic 3D support for for 3D games, 3D movies and 3D photos on the laptop. This means that as with the previous first generation laptops when you are using the display in 3D mode by wearing the polarized glasses you’ll be getting half of the horizontal resolution of the screen per eye. Something that may bring some issues with multimedia that uses a lot of small details like for example tiny texts that need to be easily read as with half the horizontal resolution on the 1366×768 screen this might become somewhat of a challenge for you. Anyway, it seems that Acer is moving on the right track with this upgraded model and maybe their next line of 3D-ready laptops will feature a 120Hz LCD screen and come with 3D Vision shutter glasses just like what Asus did with their G51J 3D gaming laptop.